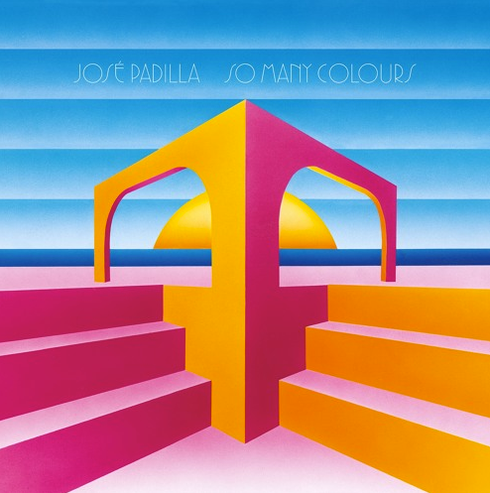 José Padilla, a legend in the Ibiza scene, has possibly just made his most forward thinking Balearic album of the year in 'So Many Colours'. José is loved by many for his work soundtracking sunsets at the Café Del Mar and compiling the seminal ‘Café Del Mar’ compilations which sold over six million copies. His fans are wide and varied, on one end of the spectrum you have Madonna or Karl Lagerfeld, and on the other DJs such as Harvey and Andrew Weatherall. The four aforementioned producers Padilla worked with are; Mark Barrott of Sketches From An Island and founder of International Feel; Telephones, a man making waves right now with his deep house sound; Dusseldorf based and natural beat maker Wolf Müller a.k.a Jan Schulte; and Australian Tornado Wallace of Tim Sweeney’s Beats In Space label. All four are known for differing styles and sounds, though their work together with Padilla runs naturally as a cohesive whole. Barrott brings a deep oceanic mellowness, Tornado the electronic synthesized melodic beats and grooves, Wolf Müller welcomes the afro end of town and Telephones has produced three tracks of beautiful dream-like house music. Each producer was flown to Ibiza to work at José's home in Santa Agnes, set up their studios in the house overlooking the one of the island’s most beautiful valleys and spent a week collaborating with José immersed within the feeling of the island. Each found their own sound within the walls of José's villa, but ultimately it is all extremely Balearic. ‘Day One’, ‘Lollipop’ and ‘Blitz Magic’ produced by Telephones pay heed to the newly revived dream house sound. Mark Barrott produces ‘Solito’, as well as the album closer, ‘Remember Me’, and the acoustic guitar vibes of ‘Mojame’. Muller brings Brazilian afro beats to ‘Whistle Dance’ and ‘Afrikosa’, and the album wouldn't be complete without Tornado’s ‘Maybe The Sunset’ - a ride on Ibiza sunshine - and the widescreen ‘On the Road’.